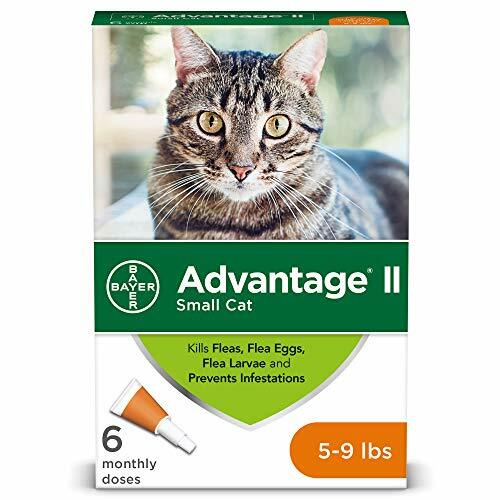 Bayer Advantage II topical flea treatment and prevention for small cats between 5 and 9 pounds is a vet-recommended, monthly application that kills fleas through contact, so they don’t have to bite your cat to die. Advantage II kills fleas in multiple life stages, effectively breaking the flea life cycle to control existing flea infestations on your cat and prevent further infestations. This cat flea treatment comes in a convenient topical liquid that’s easy to apply, fragrance-free and waterproof after 24 hours. A single application of Advantage II flea prevention and treatment for cats starts working in 12 hours and kills fleas for up to 30 days. Even indoor cats need flea protection because humans and other pets can bring fleas into your home. Fight the misery of biting fleas with the help of Advantage II flea prevention and treatment for cats from Bayer. 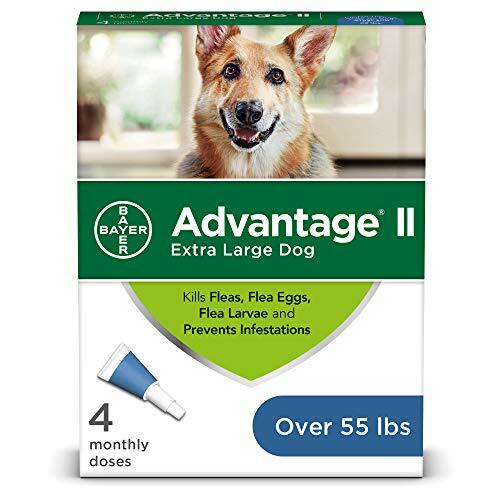 Bayer Advantage II topical flea prevention and treatment for extra large dogs weighing over 55 pounds is a vet-recommended monthly application that kills fleas through contact, so they don’t have to bite your dog to die. The protection of Advantage II kills fleas in multiple life stages, including eggs, larvae, and adults, effectively breaking the flea life cycle to prevent flea infestation on your dog. This dog flea treatment comes in a convenient topical liquid that’s easy to apply, fragrance-free and waterproof after 24 hours. A single application of Advantage II flea treatment for dogs starts working in 12 hours and keeps killing fleas for 30 days. Even indoor dogs need flea protection because humans and other pets can bring fleas into your home. Advantage II flea control for dogs is available in packs of one, four or six monthly applications for dogs of all sizes. 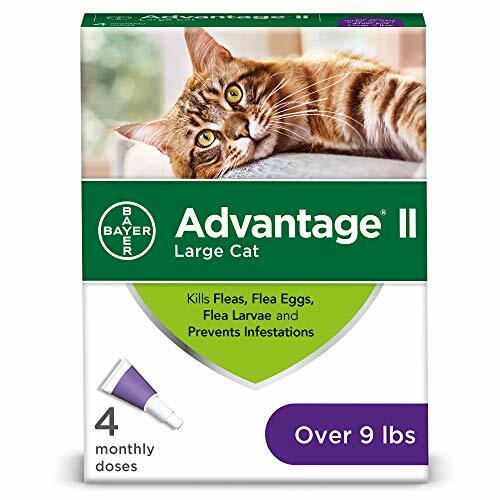 Bayer Advantage II is also available in a formula for cats. Fight the misery of biting fleas with the help of Advantage II flea treatment and protection for dogs from Bayer. 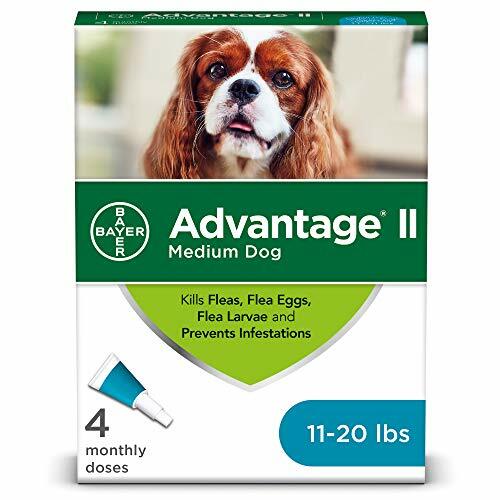 Bayer Advantage II topical flea prevention and treatment for medium dogs between 11 and 20 pounds is a vet-recommended monthly application that kills fleas through contact, so they don’t have to bite your dog to die. 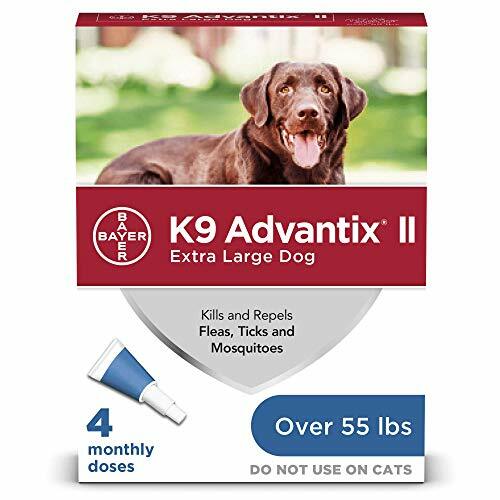 The protection of Advantage II kills fleas in multiple life stages, including eggs, larvae, and adults, effectively breaking the flea life cycle to prevent flea infestation on your dog. This dog flea treatment comes in a convenient topical liquid that’s easy to apply, fragrance-free and waterproof after 24 hours. A single application of Advantage II flea treatment for dogs starts working in 12 hours and keeps killing fleas for 30 days. Even indoor dogs need flea protection because humans and other pets can bring fleas into your home. Advantage II flea control for dogs is available in packs of one, four or six monthly applications for dogs of all sizes. 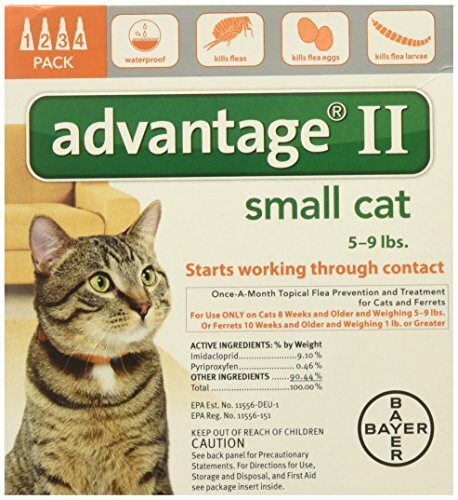 Bayer Advantage II is also available in a formula for cats. Fight the misery of biting fleas with the help of Advantage II flea treatment and protection for dogs from Bayer. If your cat is constantly chewing and scratching its fur and skin then there is a good chance it has fleas. As a pet parent, it's up to you to detect the fleas and take necessary action. 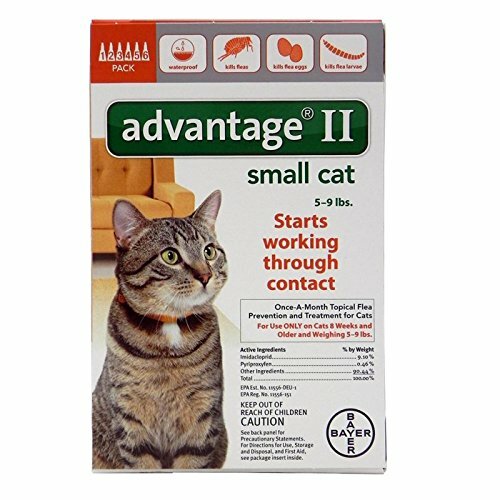 4 Month Advantage II Flea Control for Small Cat by Bayer is the perfect flea control product for the job. By attacking adult fleas, larvae, and eggs it destroys fleas at its every life stage. This 3-way attack approach helps control the infestation fast and eliminates the chances of future infestations. Like its name suggests, this pack contains enough dosage to protect your cat against fleas for 4 months. 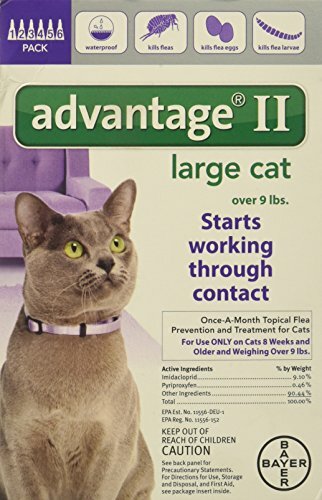 4 Month Advantage II Flea Control for Small Cat has a waterproof formulation, which allows your cat to roam free and be around water without affecting the efficacy. Before applying the product please take the time to read the full precautionary statement and application information. Bayer Advantage II Flea Treatment for Large Cats Over 9 lbs, 4 Monthly Doses !!! Shopping Results for "Advantage Flea Treatment"